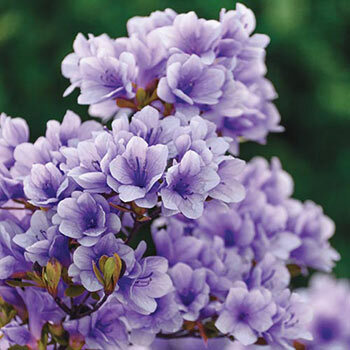 Prized for its dwarfed form, evergreen foliage and dense blooming habit, the Purple Gem Hardy Azalea is an ideal shrub for use as an accent in the perennial garden or as a border planting. Growing just 24-26" tall, this azalea reliably produces loads of purple flowers in mid spring. Very showy and lush, just one plant can create quite a scene in semi-shaded spots along walkways or near entrances. Purple Gem Hardy Azalea is a great choice for planting in northern gardens, but protection from winter winds is suggested. 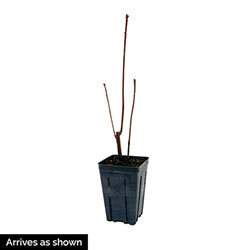 Plant in partial shade and water regularly, especially during extreme heat. Soil Requirements: Needs regular watering - weekly, or more often in extreme heat.